Xiaomi has released some of the best budget smartphones with great customer support. The Smartphone giant, has always tried to bring more and more development to its device to push more updates. The Xiaomi Redmi Note 4, launched in Dec 2016, is the next budget smartphone after the Redmi Note 3. If have successfully got your device, you might be aware of Android Nougat beta for Xiaomi Redmi Note 4. The good news is, you can Successfully root Redmi Note 4. If you’re the one who loves to tinker with Android devices, rooting your Xiaomi Redmi Note 4 & installing custom ROMs should be your first choice. Rooting will not allow you to remove Bloatware but also improve your device’s performance. If you’re not aware of the term Rooting, you can read everything about Android rooting. Step 4. 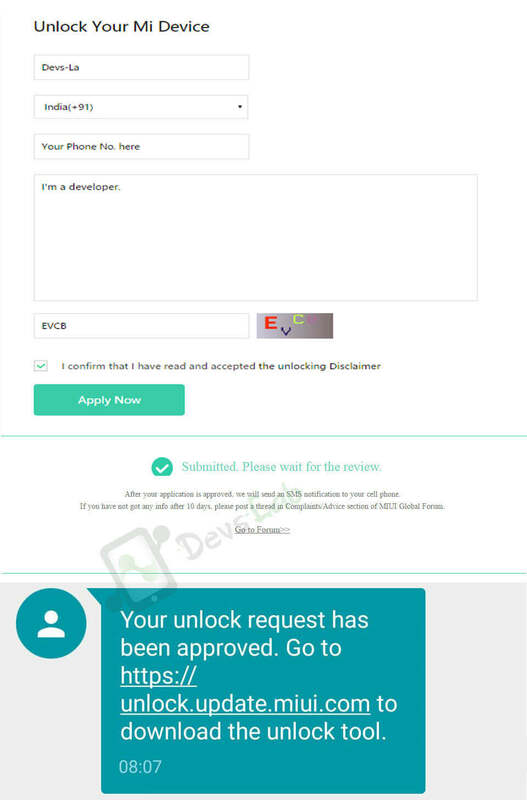 After opening the app, click on Agree. Enter your same Mi Account details in the Mi unlock app. 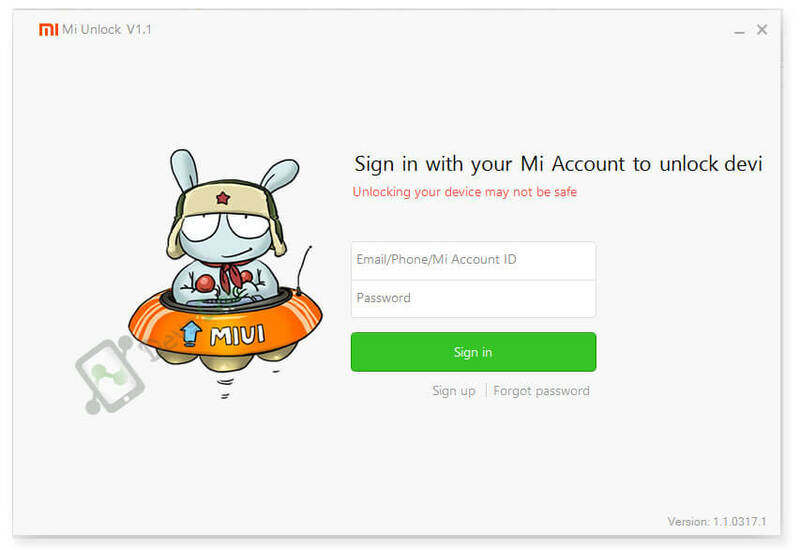 After login, Mi will check if your Account has unlock permissions. Step 5. 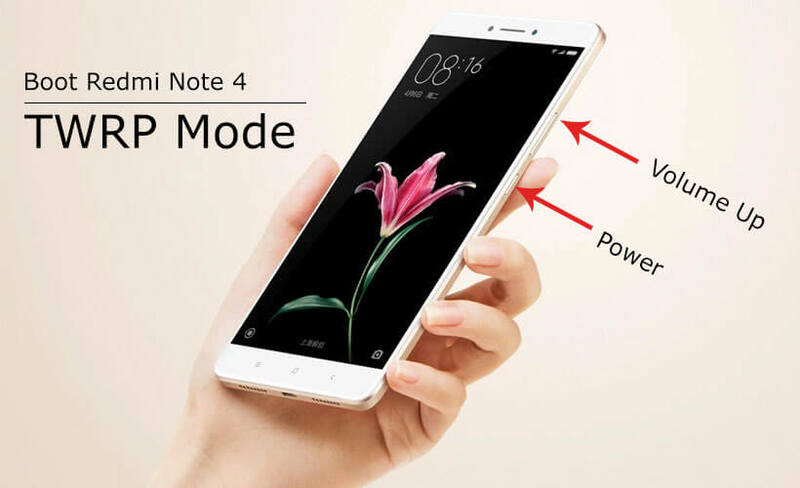 Once you get the Device not connected message, switch off your Redmi Note 4 & boot into fastboot mode (Press and hold Volume Down + Power button), release the button as soon as you see “Fastboot” written on screen. Step 6. 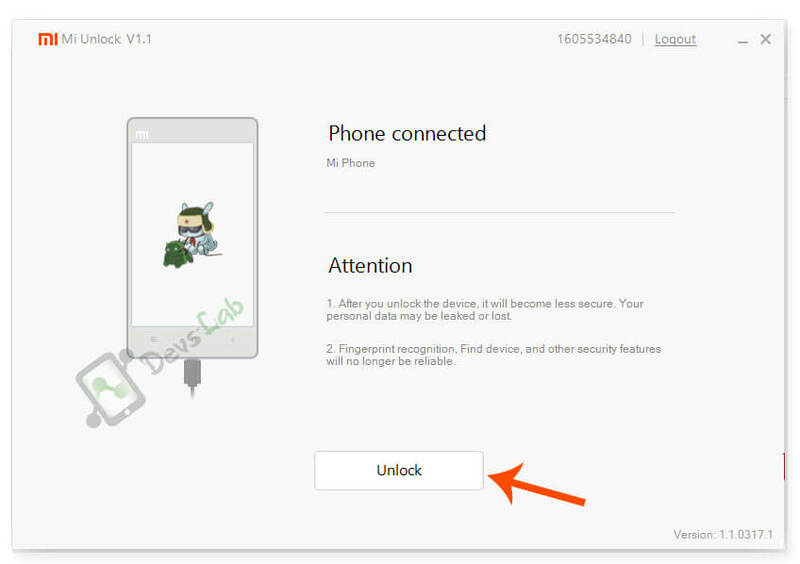 Connect your Redmi Note 4 using a USB cable & click on “Unlock” in Mi Unlock tool. 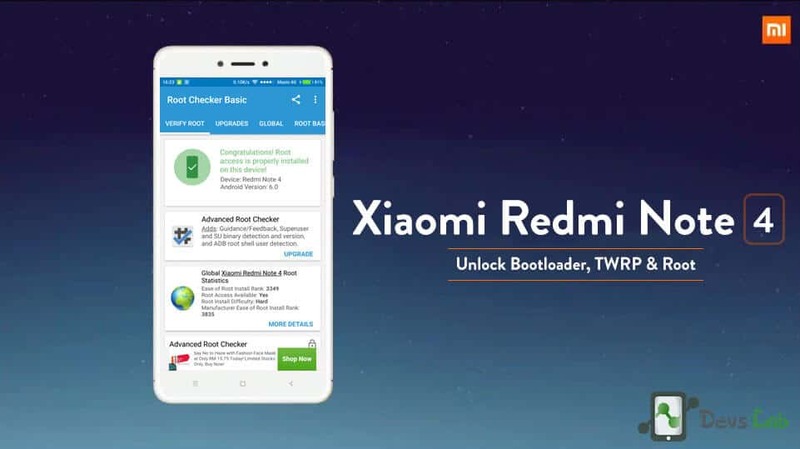 You have not successfully unlocked the bootloader on your Xiaomi Redmi Note 4. You can now head on to installing TWRP Custom Recovery in Xiaomi Redmi Note 4. Step 1. 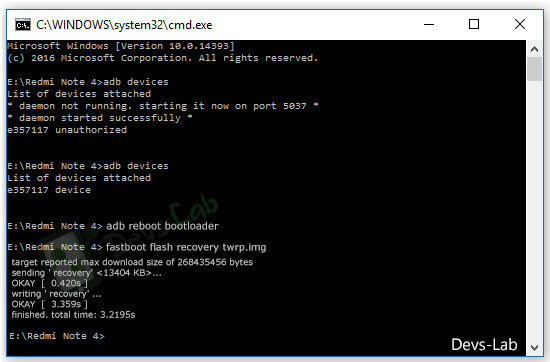 Download the ADB Fastboot tool and extract it. Transfer the downloaded TWRP.img file in ADB folder. Step 3. 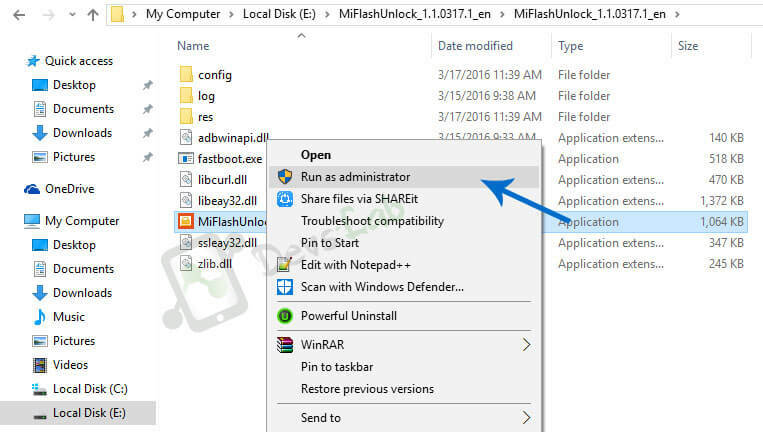 Launch the “command.bat” file from ADB folder. 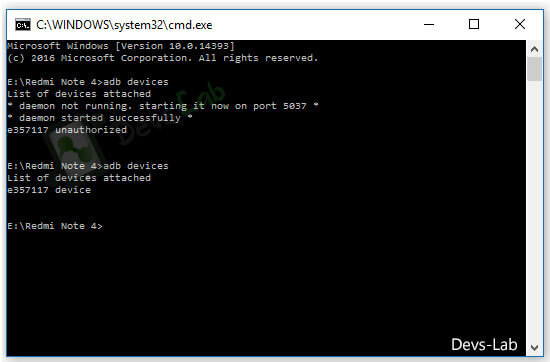 Run the below command to check if everything is setup well. It will return code with connected devices. Step 1. Transfer the SuperSU.zip file in your Xiaomi Redmi Note 4’s Internal memory. Turn off your device. Step 2. 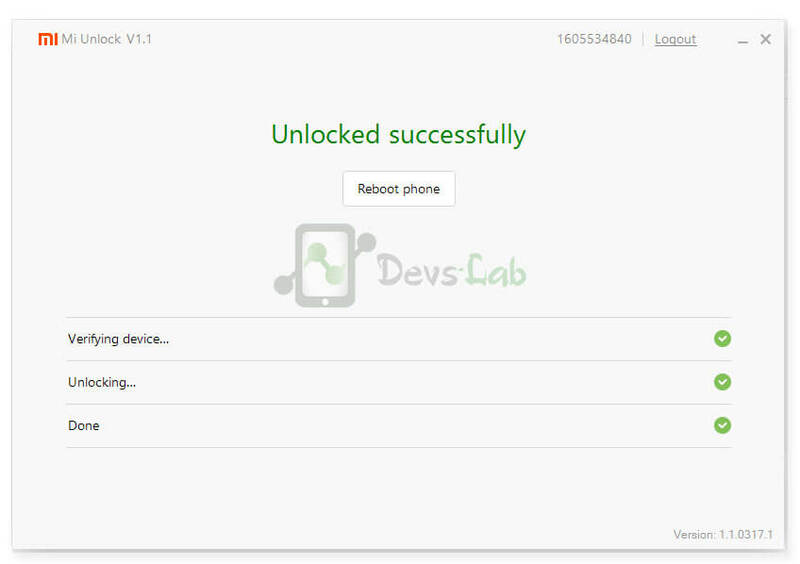 Boot into TWRP custom recovery mode using Press and hold Vol Up and power button. Step 3. Click on Install and locate the SuperSU Root file from the list. Step 4. 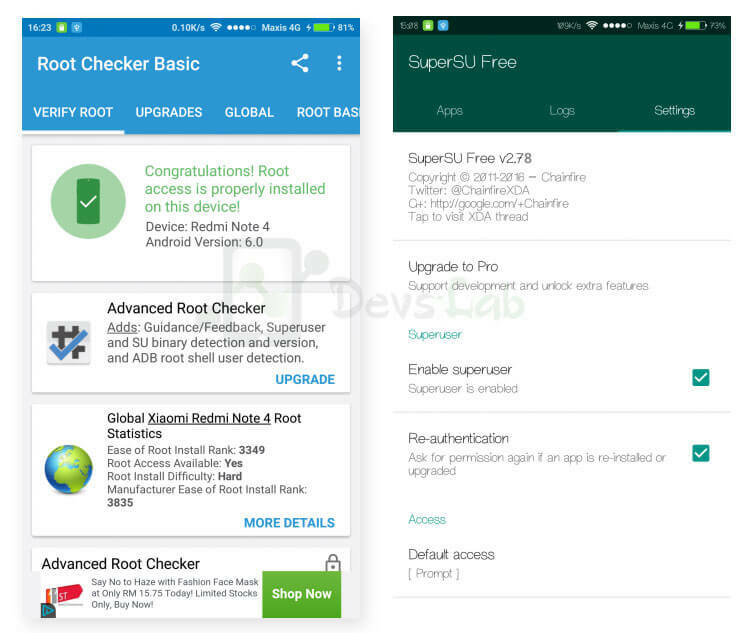 Swipe to confirm installation of SuperSU Root file in Xiaomi Redmi Note 4. Step 5. After the installation is completed, Clear Dalvik cache and Cache. Now reboot your Xiaomi Redmi Note 4. That’s it folks! We have tried to cover each and every part with proper images and screenshots. Now that you have rooted your Xiaomi Redmi Note 4, you can install Xposed Framework or checkout our list of best Apps for Rooted Android. If you have any doubts, you can ask me in the comment section.